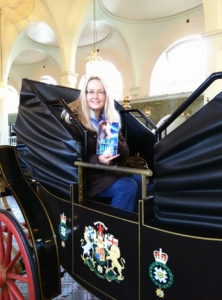 Before boarding the ship for our cruise to Norway, my husband and I spent a week in London. It was our “first” trip to the UK (once on a European cruise we stopped in Dover for the day). 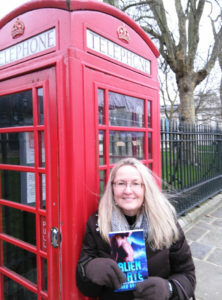 We stayed at a hotel in Trafalgar Square, a nice, central location, and did all the tourist things. We went to the British Museum, the Tower of London (saw the crown jewels), the Tower Bridge, the Shard, Kensington Palace, Harrods department store, the Royal Mews at Buckingham Palace, Westminster Abbey, Parliament, and Winston Churchill’s War Room (the basement that served as his command center when Germany was bombing London in WWII). We ate sausage and mash and fish and chips from local pubs. We walked, and we rode the Tube. 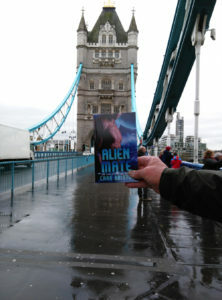 Of course, Alien Mate went along, too! Everyone says London/England is cold in winter. It was chilly, but the weather wasn’t unlike what we have in southern Missouri in winter, highs in the 30s & 40s. Drizzly, but not bad. Here are some photos of the highlights, some taken by my husband, some by me. 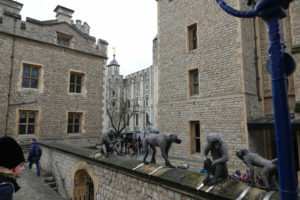 Monkey statues at the Tower of London. 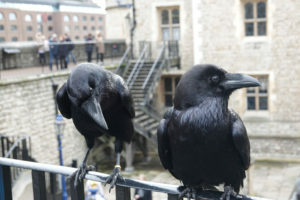 Two live ravens. (Love this photo. DH took it). 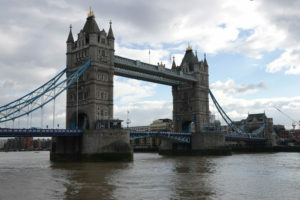 The River Thames. 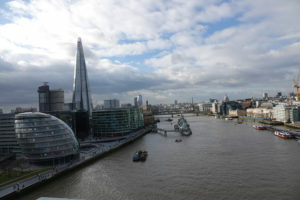 The tall building is the Shard, the tallest building in Western Europe. We went to the top! 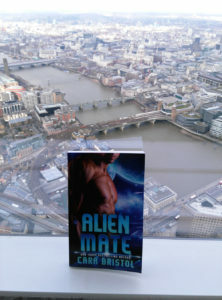 Alien Mate went to the top of the Shard. 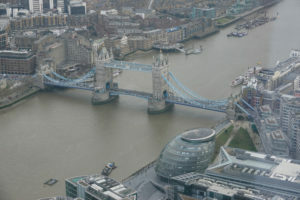 Another view from the Shard. 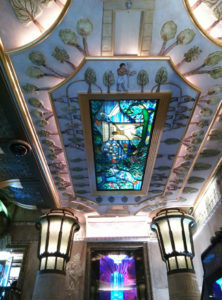 We went to see Harrods department store. This is the stairwell. We expected Harrods to be like Neiman Marcus. Uh, no. Harrods makes Neiman Marcus look like Walmart. 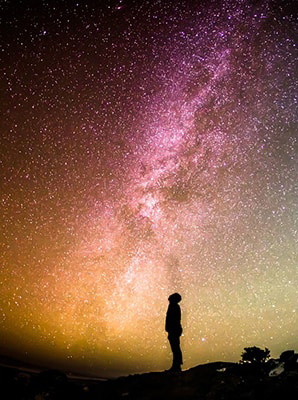 The wealth is at a level even millionaires would find hard to comprehend. 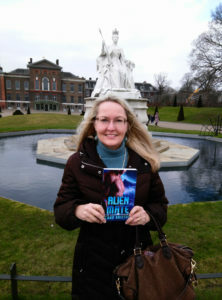 We toured the public areas of Kensington Palace. 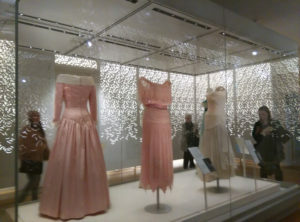 They had an exhibit of Princess Diana’s dresses. 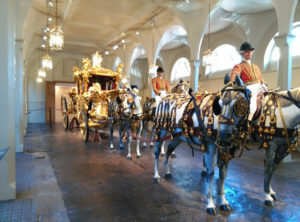 Here’s a coach you don’t get to sit on. Alien Mate who? The iconic red phone booth. See Alien Mate‘s trip to the Arctic Circle! Click here. 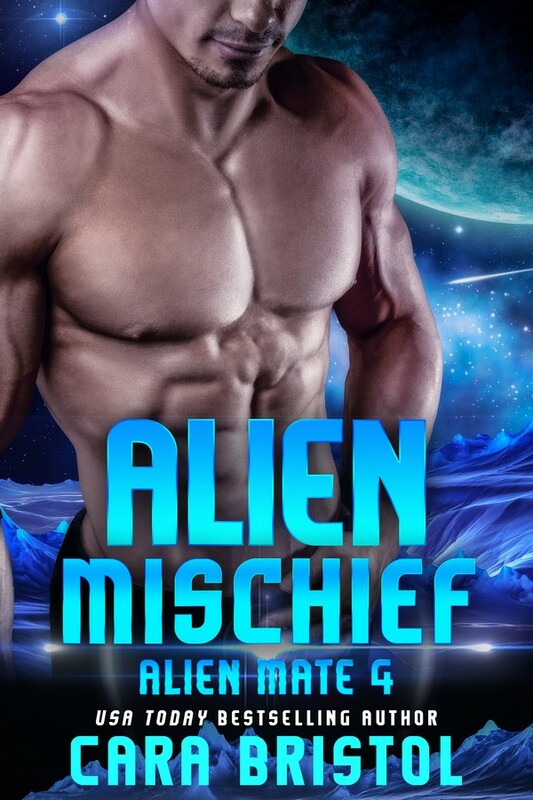 Want to win this world-traveling, autographed Alien Mate? Watch for Freebie Friday, March 23. 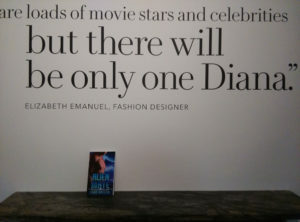 I’ll be giving away this book. 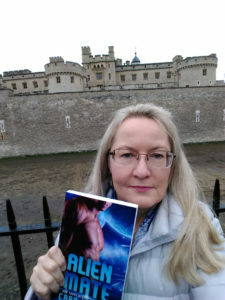 Get my newsletter so you don’t miss the drawing! 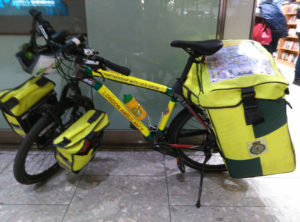 Last, but not least, I spotted this airport “ambulance” at Heathrow. 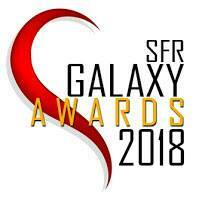 This entry was posted in Life 101, Special promotions and tagged Alien Mate, Alien Mate tours London, Cara Bristol, Kensington Palace, London, Royal Mews, the Shard, Tower Bridge in London, Tower of London, travel, United Kingdom. Bookmark the permalink. Love the pictures of the trips. Hope Alien Mate wasn’t too cold. Ha ha. Alien Mate might have been a little cold on the ship when it was “sunning” itself on the deck chair in the snow. Lol.